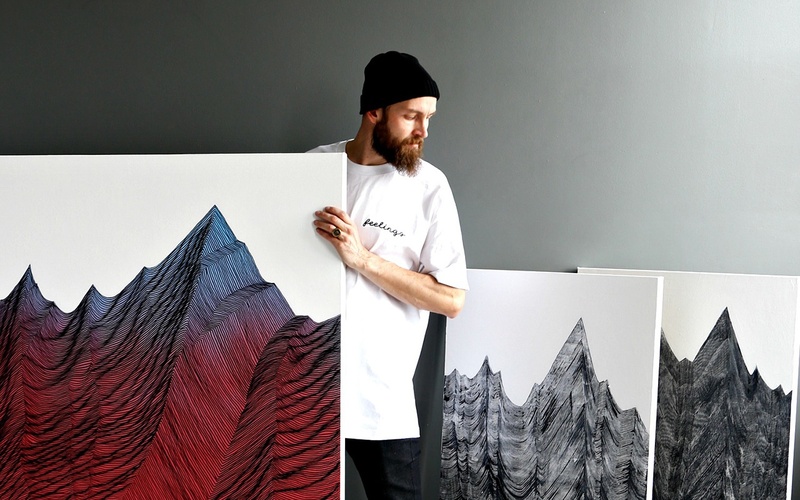 Independent Utah artist Havoc Hendricks draws inspiration from the overlooked world. 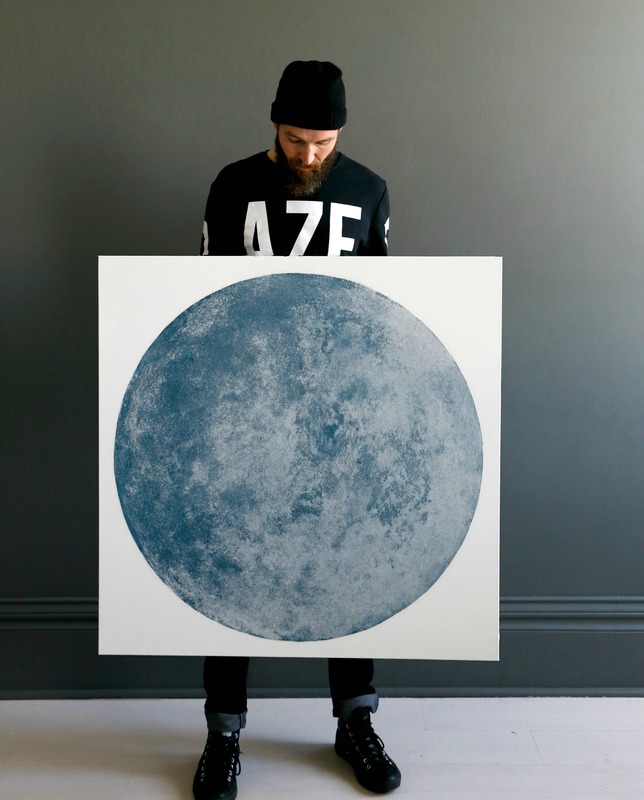 He creates unique paintings in an intricate style, which he calls "Detailed Minimalism." Hendricks currently lives and works in Provo, Utah with his artistic photographer wife, Laura Hendricks (www.HavHouse.com). After suggesting his work for design projects and staring at his pieces for endless hours on the screen, I decided to catch up with him in a more impactful way. See what he had to say below. I’m a full time artist inspired by detailed minimalism; both as a way of life & as an aesthetic. 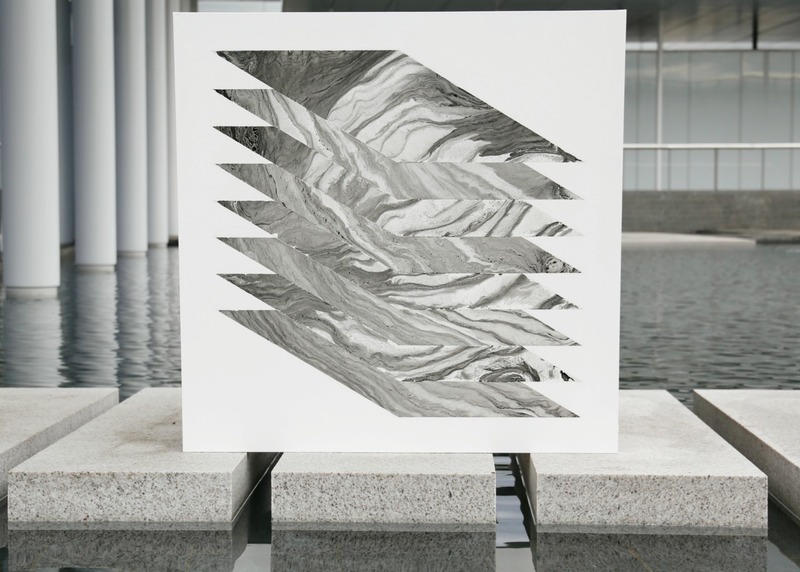 My art represents the complex line patterns found throughout nature- delivered through a minimalist perspective. 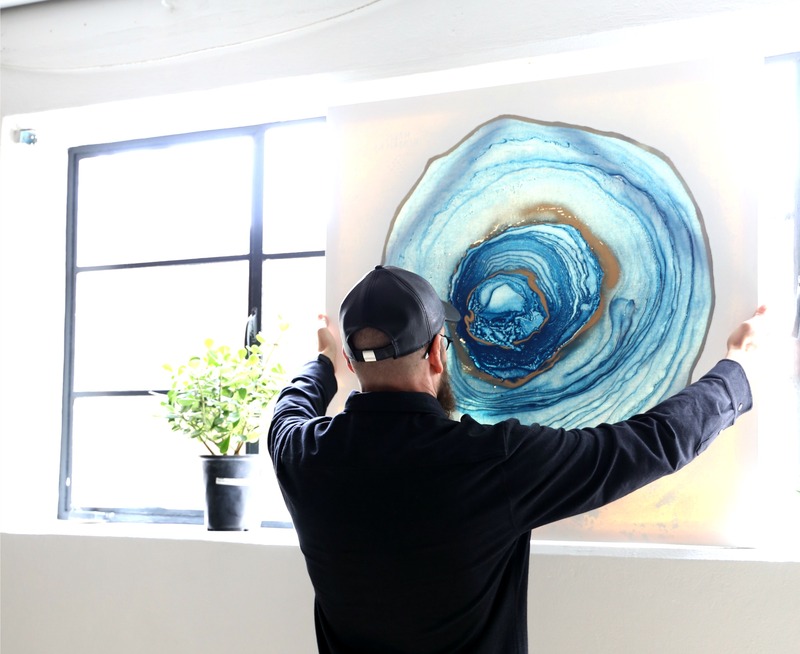 I’ve enjoyed working on custom projects with interior designers, art galleries, art consultants, the surf / skate / snowboard industry, furniture designers, etc. from all over the world. My motto is: Detailed Minimalism. What are your main aesthetic influences? I’m influenced by all things that are simplistically beautiful. I love a product design or an art piece that isn’t noticed at first; but when it is noticed, you can’t look away. I’m also a lifelong student of the line patterns that mother nature creates in rock, water, cloud, mountain face, fire, wood grain, etc. Has your work changed over time? 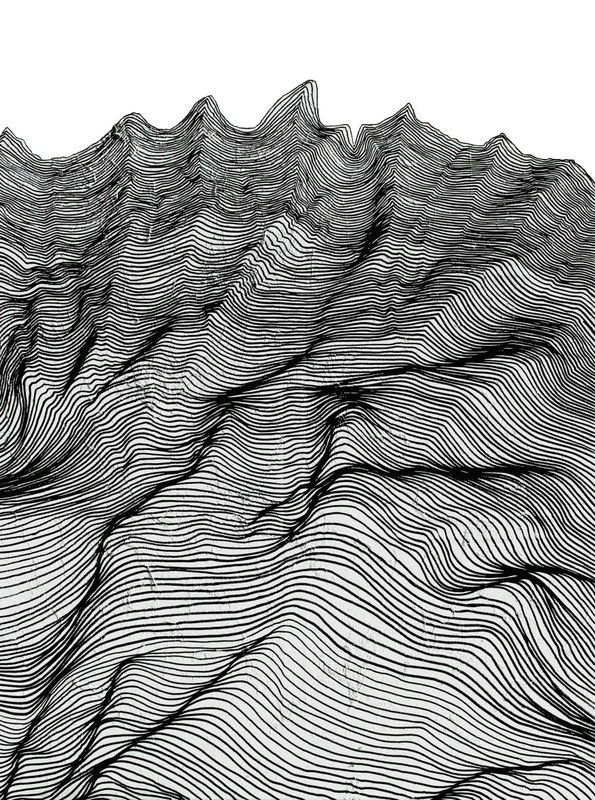 My work has gone from the study of Geode patterns, to water patterns, to moon patterns, to Mountain Patterns, to marble & granite patterns, & soon to cloud patterns. I still revisit and improve upon past collections as each one influences the others. Has social media played a role in your practice? Art awareness in my generation has been greatly accelerated because of social media. My audience is currently world wide & I only see my work becoming more known & sought after as time goes on. 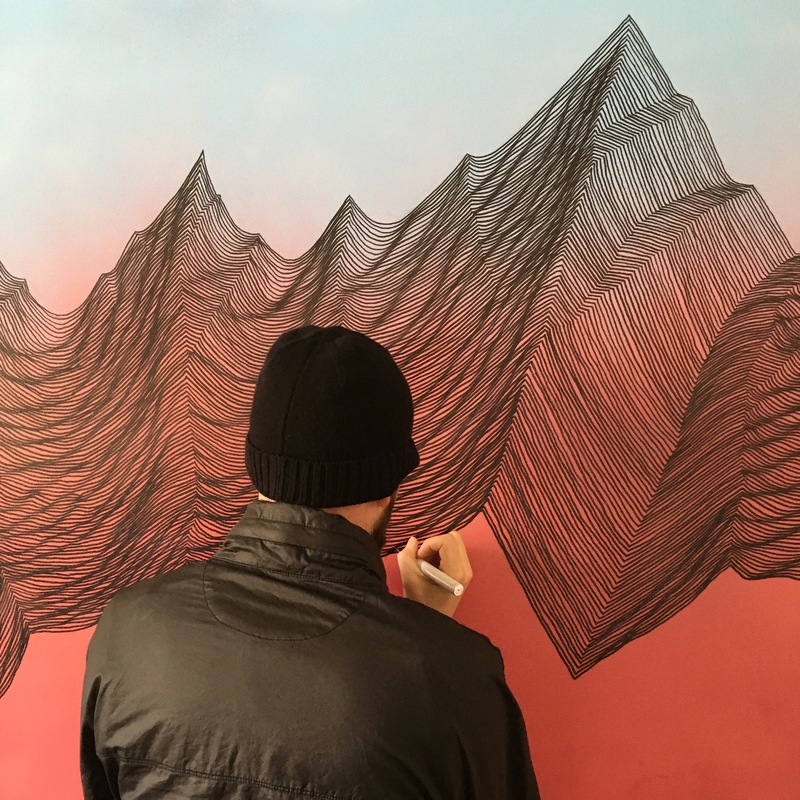 I’m planning a future live art performance that involves a moving wall (like a treadmill turned on it’s side) and with one paint marker I draw an entire Mountain from top to bottom while standing in one place. Count me in on seeing that live performance. When does your creativity tend to strike? The second I wake up is my most productive mental time. Without any distractions of day to day meanialities I’m able to lay in bed for 20-30 minutes to let my mind wander through art projects and future paintings. What artistic rule do you love to break? All of them! Being a self taught artist has allowed me to discover a lot of informal skills and techniques that are not generally taught in artistic academia. My favorite rule to break is to place all the value of a piece on the aesthetics of the piece itself regardless of who made it under what circumstance etc. I’ll experiment with placing the whole value of a piece based solely upon how easy or hard it is for others to reproduce it. The one exception being going to the originator of a piece or style even if it can be easily copied. What’s your process for collaborating like? As a creative, I’ve enjoyed success in both the art world & the music world (former member of The Blue Man Group). My drumming approach is based on the same mindset that I take into artistic collaborations: Take whatever the other party has / requires and make it even better. My goal isn’t to steal the spotlight away from others products, music, showrooms, etc. but rather to complement it in a way that they can’t imagine their product without me. Within the realm of my style and aesthetics, I’m extremely adaptable. Any advice for the younger generation of artists? A hard thing for aspiring artists is to develop a style that’s unique to them & them alone. My advice is that you’ll only be as good as the amount of time you dedicate to developing your craft & after an indeterminate amount of time you’ll naturally gravitate towards some elements while discarding others. Eventually your creations will be unique & have a quality that others will respond to. Before I was making organized chaos I was just making . . . chaos. Join our mailing list to learn more about our artists.